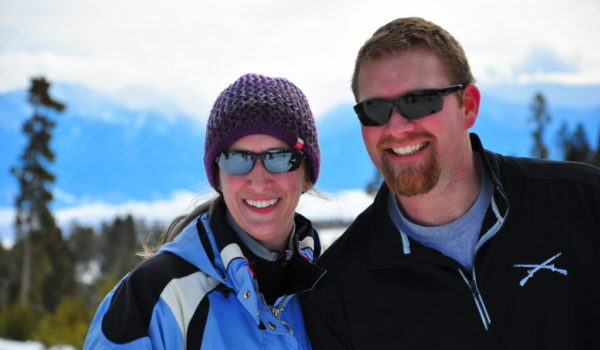 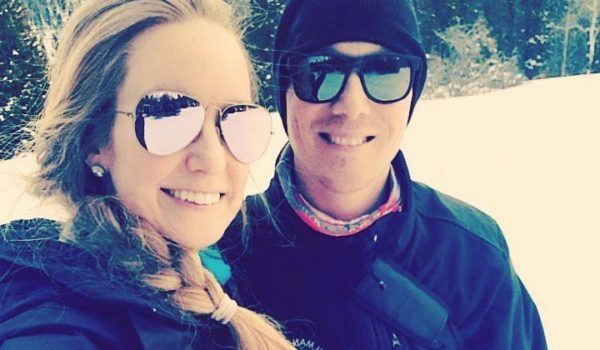 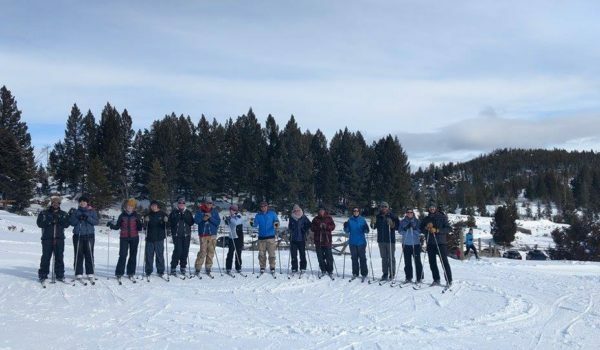 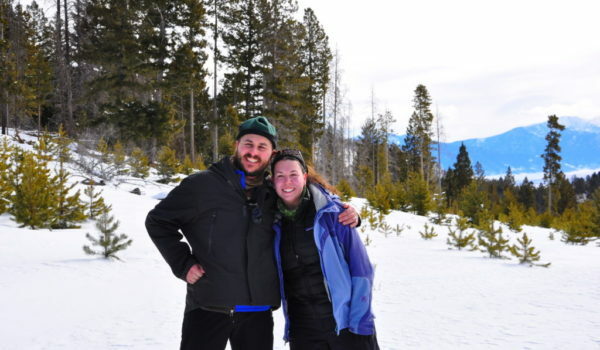 Montana Wounded Warriors was invited this year to a couples snowshoe/cross country getaway by The Nomadic Ice Axe Organization founded by Hallie Zolynski. 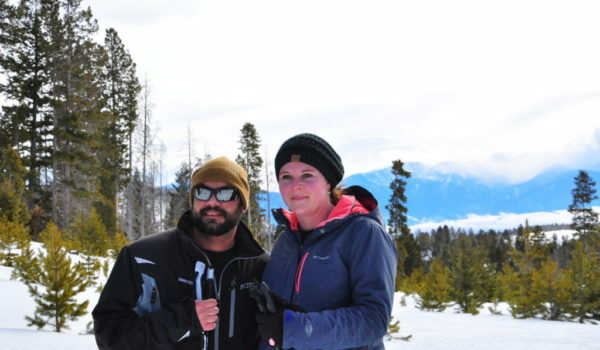 This was a first of a kind for MTWW and WOW, was it amazing! 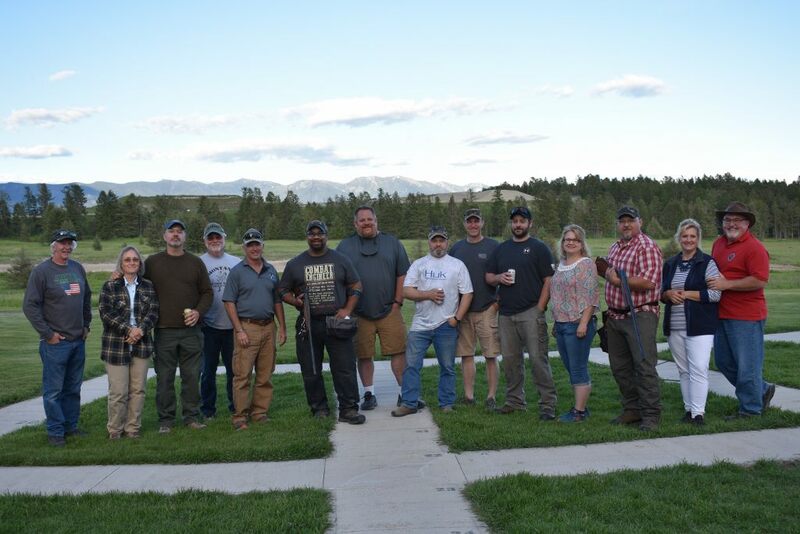 We brought in 7 Wounded Warriors and their spouses for an amazing and great weekend. 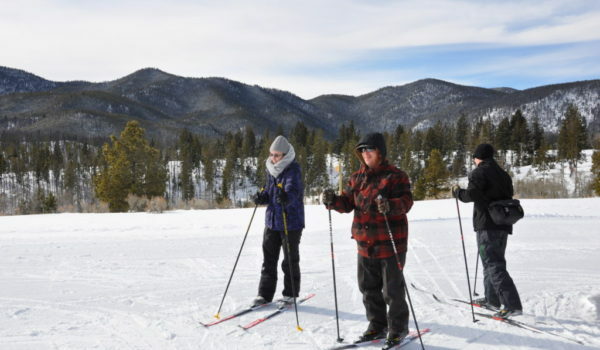 Hallie took them out all day and night for an unforgettable experience of snow showing and cross country skiing. 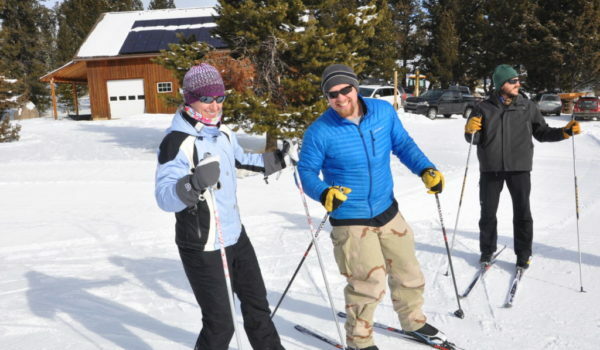 The couples had the chance to hang out together in the lodge in their down time and get to bond and laugh. 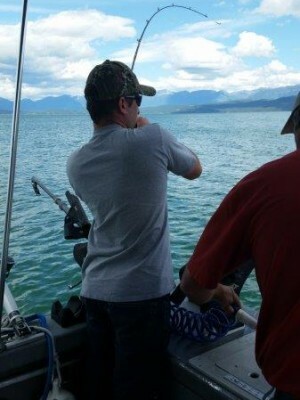 Hallie sure gave them a workout, and being exhausted, they all slept well. 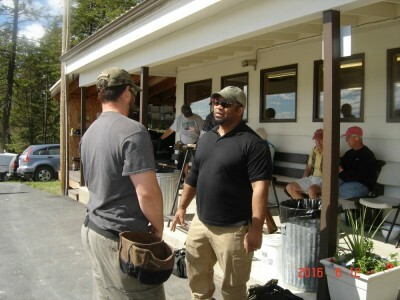 Everyone had a great time and made new friends. 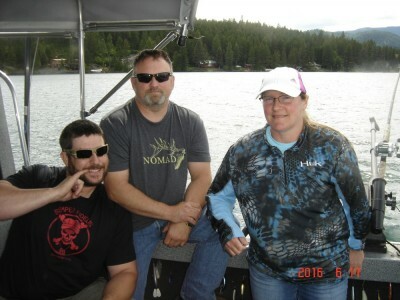 Thank you so much Hallie for bringing this great experience to these awesome Warriors and their spouses. 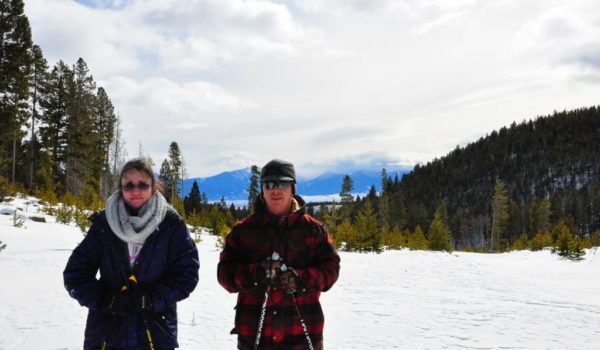 We sure enjoyed this experience and cannot thank The Nomadic Ice Axe enough for this great gift. 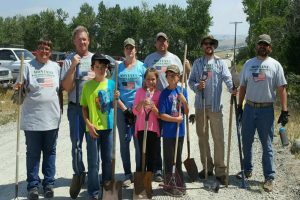 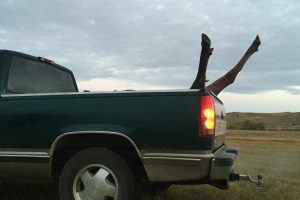 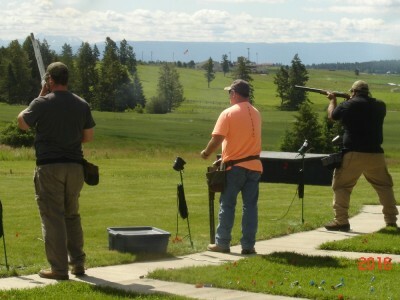 Montana Wounded Warriors has been doing a harvest with Steve and Dave from the Ten Springs Ranch for the last few years. 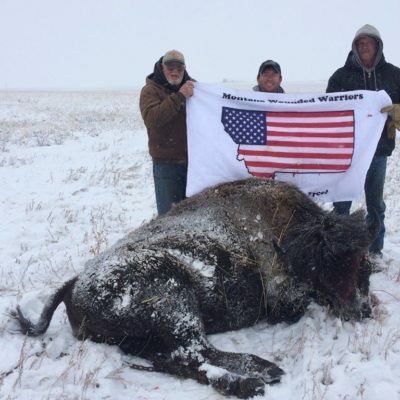 They contacted Montana Wounded Warriors this year and said they wanted to donate a buffalo harvest to one of our Warriors this year to shoot if we would donate the meat to the Montana Veterans Meat Locker. 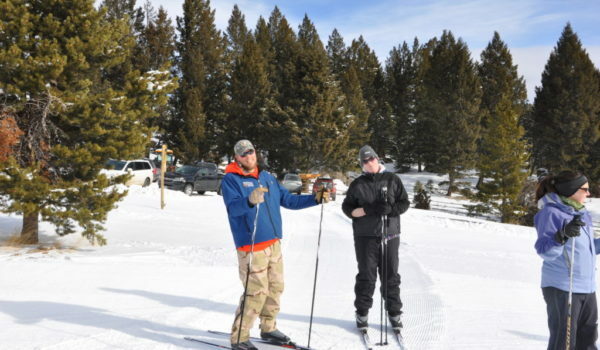 We proudly told them we would be honored to be a part of this and had one of Wounded Warriors and Board Member, Chris Grudzinski do the honors. 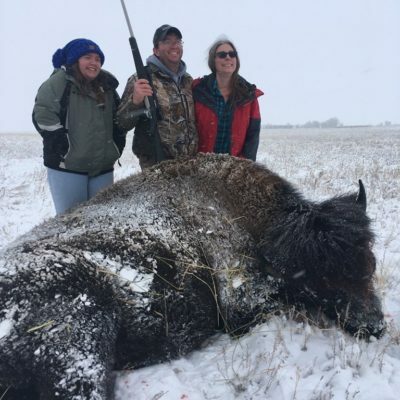 Chris took his wife and daughter along to share this once in a life time experience since he had never shot a buffalo before. 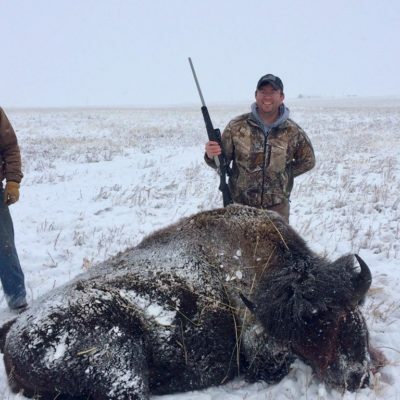 Chris has taken several Warriors though out the years on many trips and has witnessed them harvesting several buffalo. 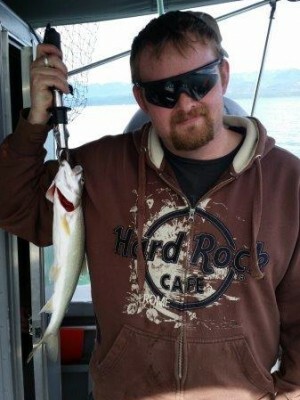 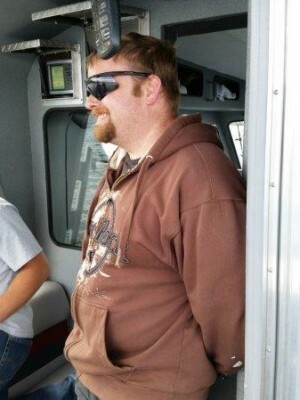 This was extra special being it was him as the shooter and his family with him to share the memory. 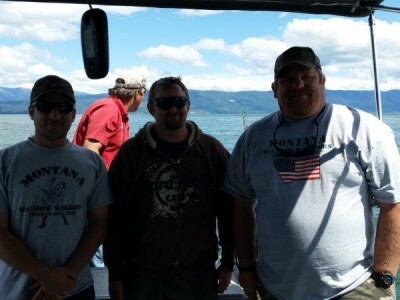 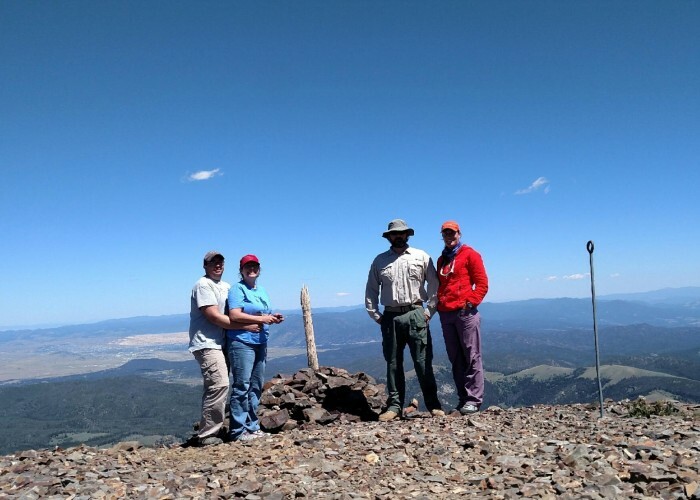 This is what Steve and Dave enjoy so much with having the Montana Wounded Warriors come out – they see the pure excitement and heartfelt gratitude. 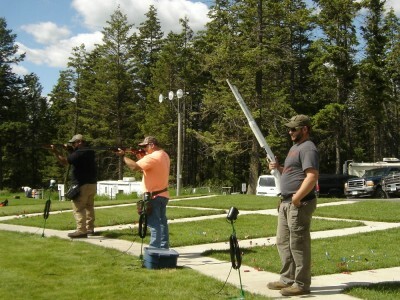 This is their way to give back to the Wounded Warriors and show they appreciate all they have done for their country. 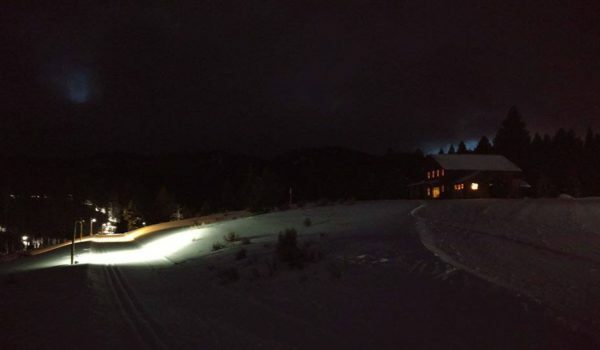 It was a great and memorable day that ended with the traditional Buffalo Mark Whiskey to warm the soul (and every other inch of your body). 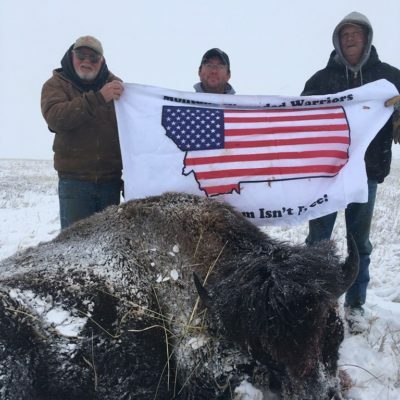 Than to boot, the meat from this huge buffalo is going to help feed hundreds of Veterans in Montana. 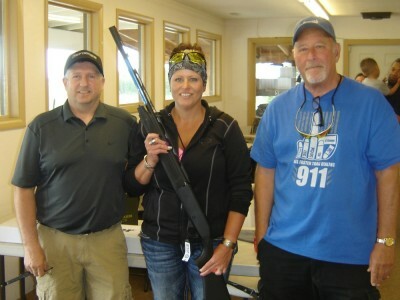 Thank you so much Steve and Dave for the continued support and we are looking forward to another great year with you soon. 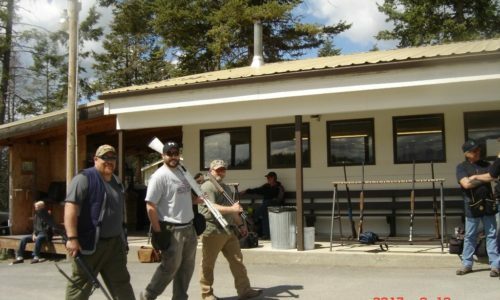 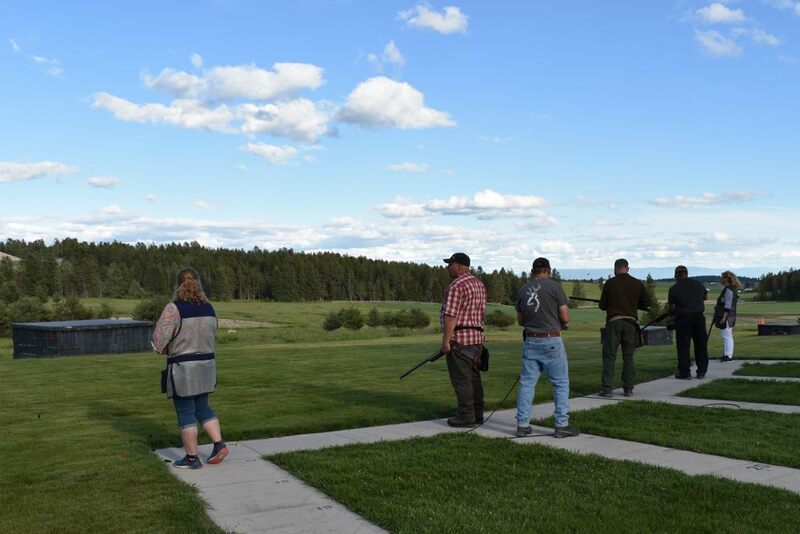 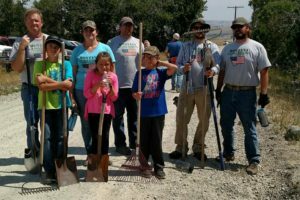 The Flathead Clay Target Club in Kalispell once again benefited Montana Wounded Warriors with their 7th annual fundraiser event June 9-11. 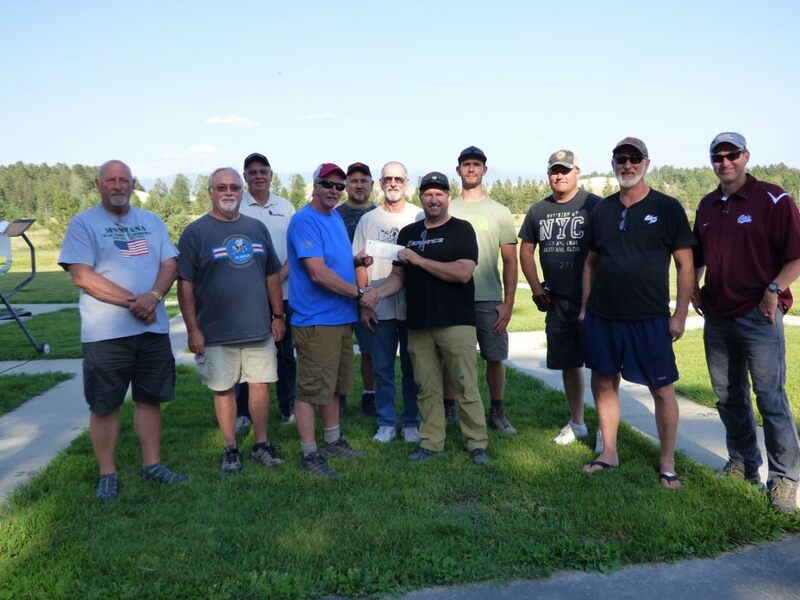 The club did an outstanding job this year and was able to raise over $3,150 to support all expense paid hunting and fishing trips for wounded veterans who have served in combat in Iraq and Afghanistan. 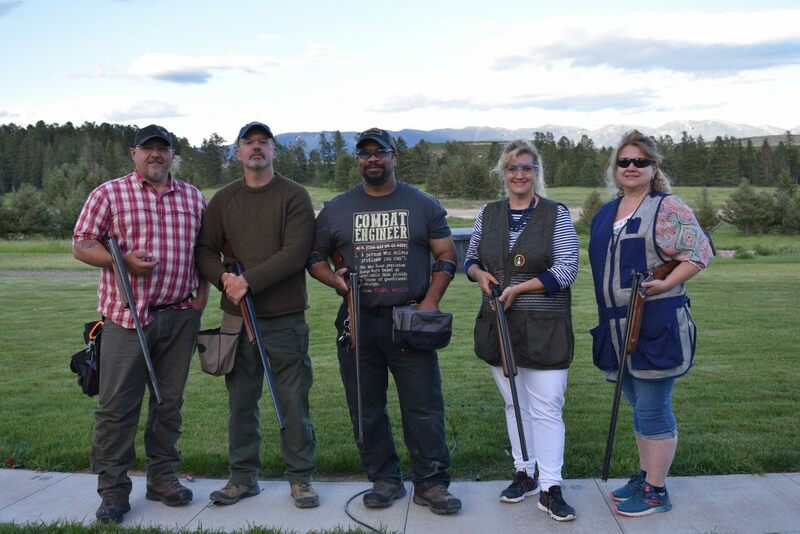 We had a fantastic turnout with 7 wounded vets and 5 of their spouses joining us. 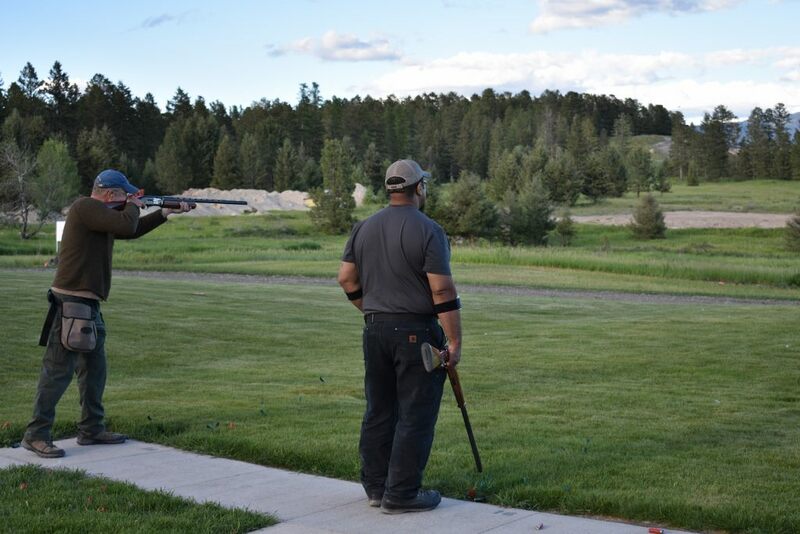 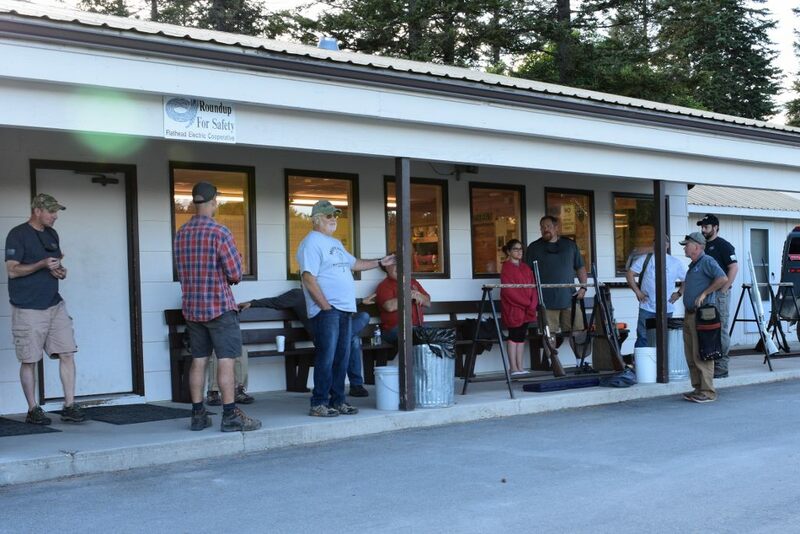 The weekend started off with a barbecue on Friday night followed by the group having some practice rounds shooting at clay targets. 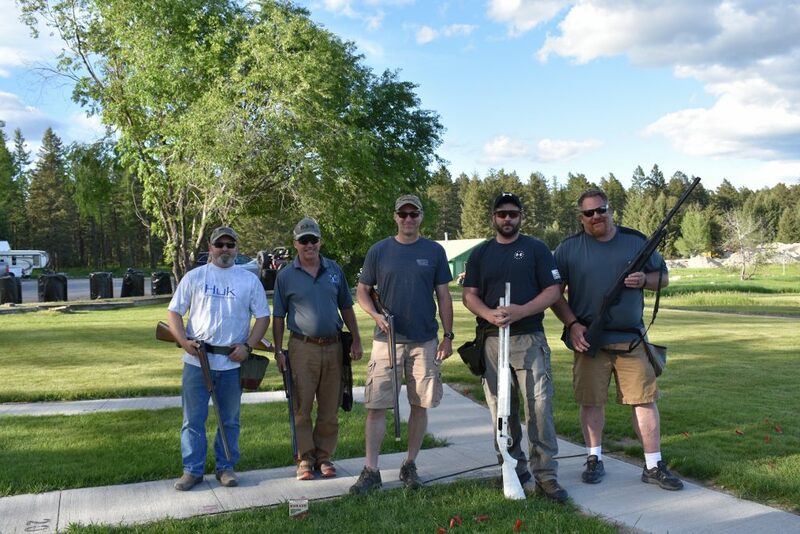 Saturday morning was lively with our vets as well as many others from all over came and competed to see how many clay targets they could shoot. 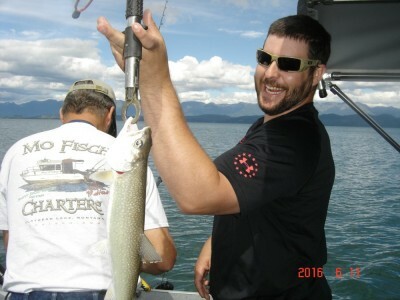 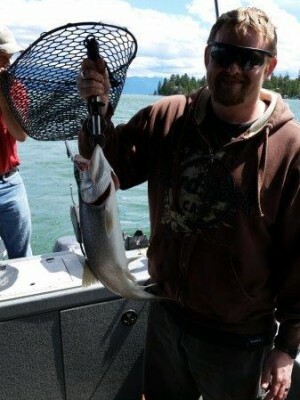 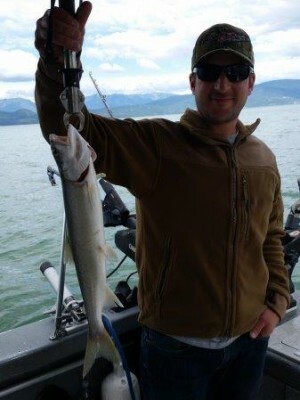 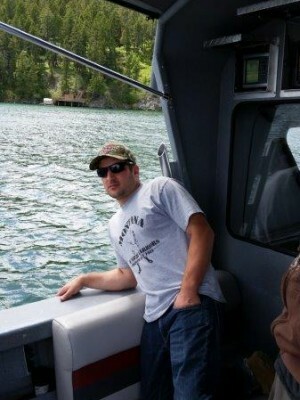 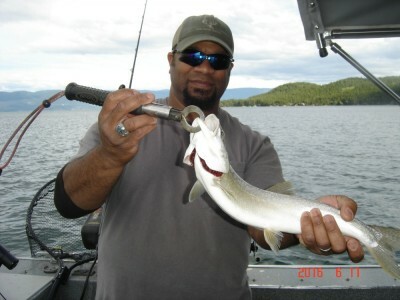 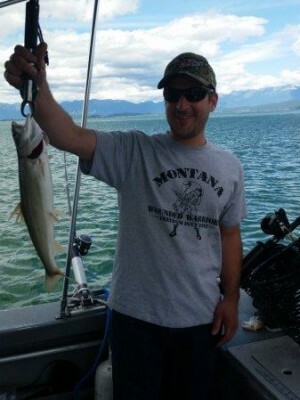 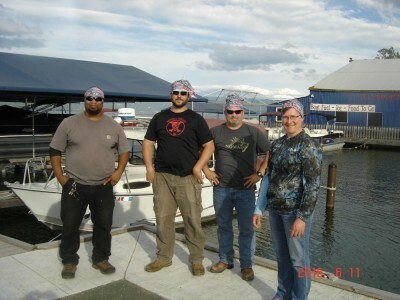 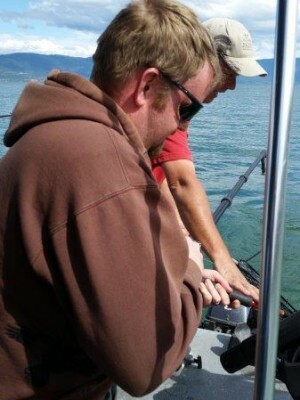 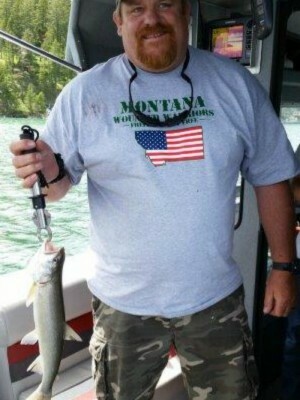 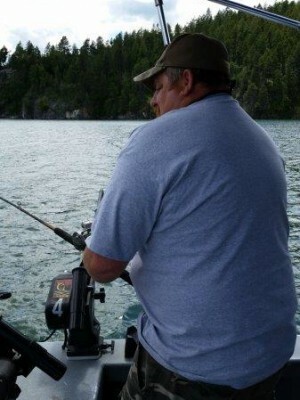 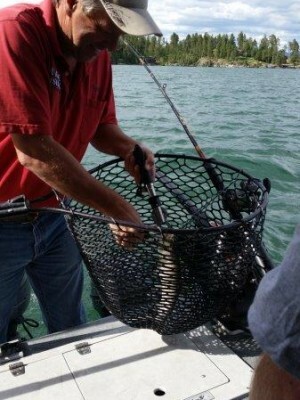 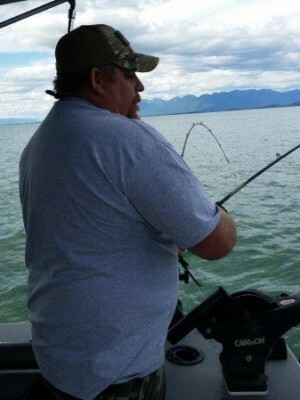 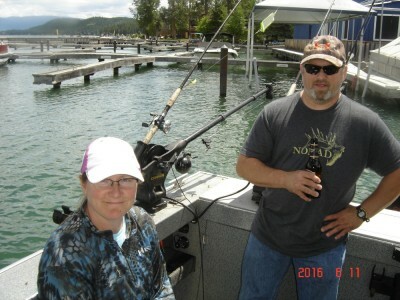 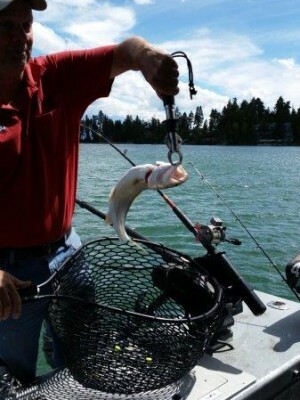 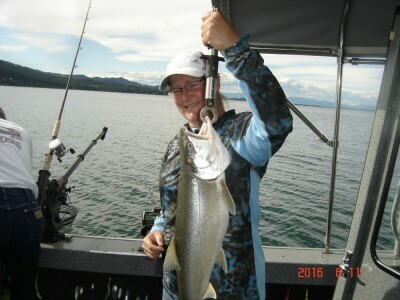 Afterwards we headed to Lakeside and spent the afternoon on Flathead Lake looking for fish. 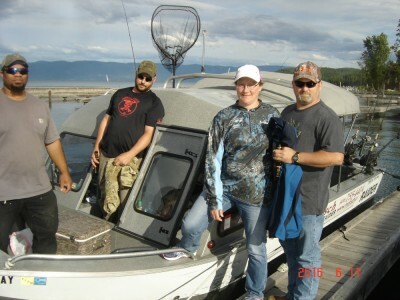 Thank you to Mofisch for providing us with 3 boats. 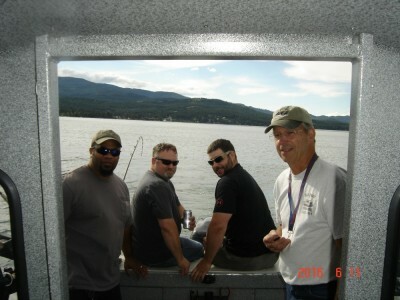 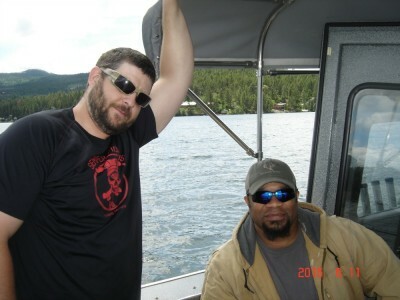 Though there was not a lot of fish caught, a good time was had by all. 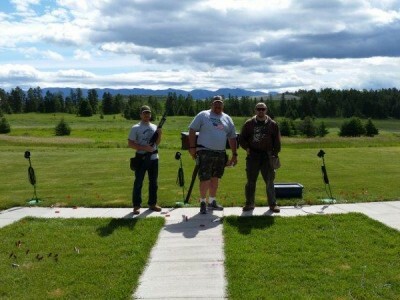 Thanks again to the Flathead Clay Target Club. 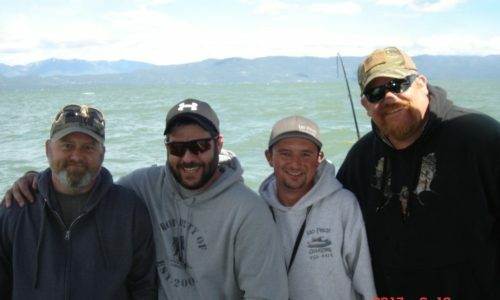 We look forward to doing this again next year.